When exactly will Lego lose its appeal? When it’s sent into space as a mini-naut by University students? When an 8ft Lego man named Ego Lennard washes up on the beach of Sarasota and becomes a global celebrity or when it costs over £500 on Ebay for a vintage ‘hard to find’ Lego Greengrocer ? Whatever your age, it’s very hard not to find the little brick men alluring. And for some, this simple toy creation is the key to endless stunning artistic possibilities . I’m a big fan. I will indeed be slowly building a new Lego army to rival that of the Austro-Hungarian Empire. Should savings run out before then, I shall endeavor to donate surplus organs – such as the appendix or a kidney – in the hopes that one day I too shall be able to post a picture of a giant Lego street made up of the modular buildings collection. For those who are living in isolation somewhere in southern Peru, then maybe the Danish building blocks have passed you by. Devised in the late 1940’s as a way of re-building after the war…only joking…but they were produced post WW2. 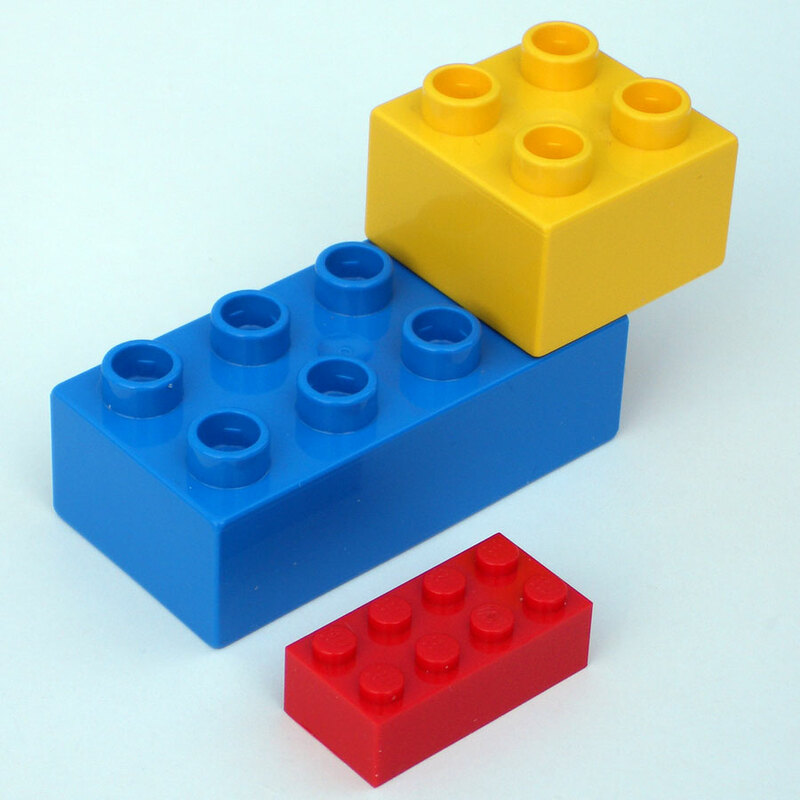 The rather simple injection moulding interlocking pieces have crafted an empire which corners the construction toy market. So much so, in fact, that Lego are suing German manufacturer Best-Lock for breach of copyright in the USA. So far they have managed to convince US customs to seize over £200,000 of Best-Lock goods. If I were the Canadian firm MegaBrands I would be watching closely to see how things turn out. Yet it could all have been so different had Hilary Page, who designed the rectangular blocks during WW2 in Britain, managed to set himself up. He could have left a legacy of Lord of the Rings inspired Lego, Superhero DC Lego, Winnie the Pooh Duplo. But it was not to be. At least Lego founder Ole Christiansen was kind enough to nod an acknowledgement at Mr Page at the very beginning. 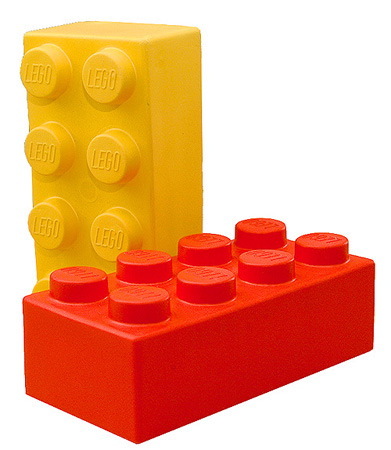 Brick forums everywhere buzz with news of possible new Lego lines. Wish lists of ‘wants’ and ‘haves’ litter these sites. Trading of brick pieces, when sets are broken up and each piece is individually sold to the highest bidder, is rife. Leading this trend are middle aged men, but the lego-loving demographic is diverse. It isn’t just Lego which enjoys such a large reveille. Transformers has reinvented itself for a new generation thanks to Shia LaBeouf. Sylvanian Families has been linked to many a secret hoarding scandal – check out the many Sylvanian Families collectors blog . Is it, as Michael Bywater suggests, because we are all, at heart ‘big babies’? Being infan tilised by a nation, indoctrinated into believing youth is lasting, life is forever and everything is done for our own good? Is that why we hang onto Thundercat Lairs and Ghostbusters figures, in case we age backwards like Benjamin Button? Or maybe it is because we have advert after advert on CITV reviving the Care Bears or Barbie. The Toy Museum of Prague, for instance, has an exceptional array of Barbie dolls, and the audience on a Wednesday afternoon wasn’t five year old girls, but lavishly dressed fortysomethings and their plus ones. When our children get to an age to watch a whole film without being sick, demanding to be changed, then it is very likely that a classic Disney from our childhood is put on the TV rather than something modern. Look at the hype that surrounds cult classics – the Goonies, the Harry Potter series – the emotional ties to childhood, to nostalgia in general, ensures that people will revisit these times without any censure or regret and will momentarily get lost in the feeling that they are secure and comforted. For me, at least, this is why, when snow is on the ground you’ll find me making igloos and playing with Lego on an Autumn day. Original thought may very well be dead – as Hilary Page found out to his detriment – the chances of someone else coming up with the same idea at the same time in a completely different country can often be 100%. Which is why Lego will be a national legacy of Denmark, rather than leading the British Olympics this year. The Bible will forever be translated into Brick . And James May will have made a house of Lego (Ok, so they knocked it down, but that is not the point). « I Don’t Work, But I Want to Join a Union.